Andrew graduated from Otago University (NZ) in 2001, once graduated Andrew worked in a number of hospitals around the Wellington region developing his Oral Surgery skills. 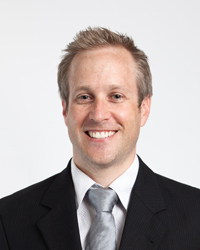 In 2004 Andrew began working as a Restorative Dentist in a prestigious private practice in the heart of Wellington city. Andrew moved to London in November 2007, and has since been working in private practices in London. Andrew prides himself on being a conservative Aesthetic and Restorative Dentist, he offers a full range of general and cosmetic treatments including Invisalign. Andrew works at Devonshire Square Dental Studio on Wednesdays and Thursdays.